Coach's Corner star Don Cherry made his feelings known about the Carolina Hurricanes' elaborate victory celebrations on Hockey Night In Canada on Saturday. The team responded in kind on Twitter. 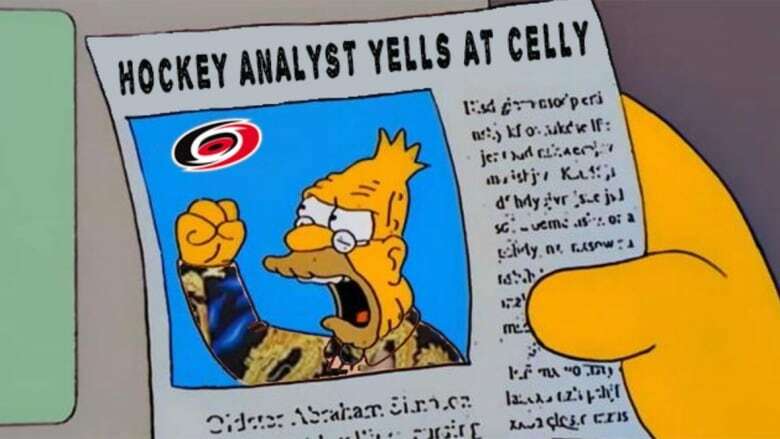 Coach's Corner star Don Cherry made his feelings known about the Carolina Hurricanes' elaborate victory celebrations on Hockey Night In Canada on Saturday, calling the Hurricanes "a bunch of jerks." Cherry is not a fan. "These guys, to me, are jerks," Cherry said. "And I'll tell you one thing, they better not do this in the playoffs. This is a joke." The NHL's 1976 Jack Adams Award winner for coach of the year also took issue with those defending the celebration. "'Young men expressing themselves for joy of winning,'" he said. "You don't do this in professional hockey." Apparently the word of Cherry's unhappiness with the "Storm Surge" celebrations reached whoever runs the team's Twitter account. It's safe to say they'll take Cherry's comments into consideration, but don't expect any changes to the tradition any time soon. 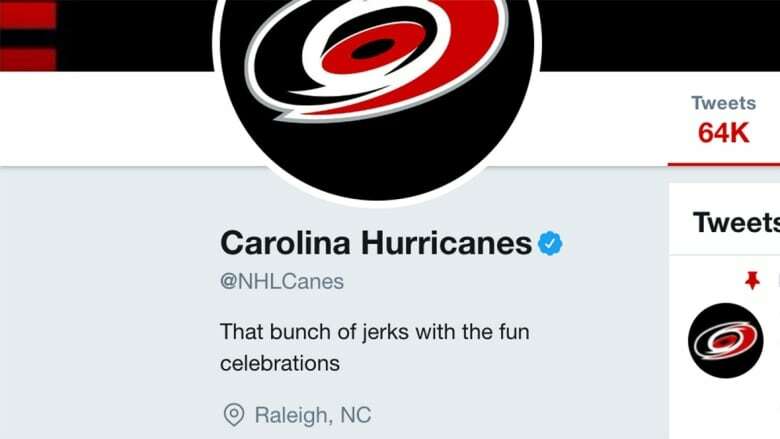 Later Sunday, the Hurricanes revealed a "bunch of jerks" t-shirt that they say will be available to fans in the near future.